As a designer for StencilGirl, I've had a few opportunities to design exclusive stencil collections that are only available to StencilClub members. 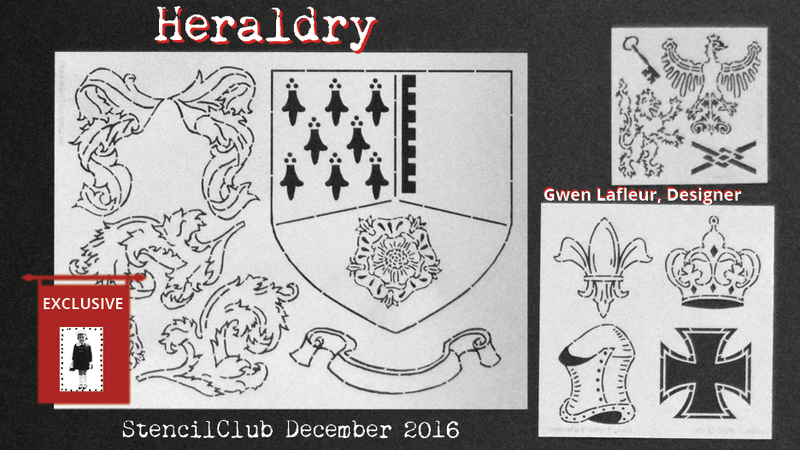 The first of those collections became available in December of 2016 and is called "Heraldry." I think you can see why! This set is full of hand-drawn designs taken from my research into various heraldic motifs and devices. 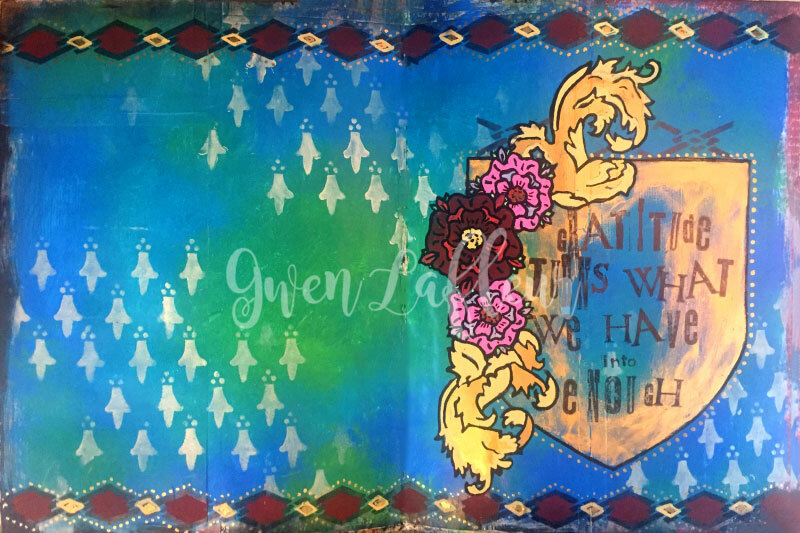 You can create your own family crest or coat of arms, or you can use individual elements for backgrounds, borders, journaling blocks, and more. It's easy to look at this set and think that it's just for creating a coat of arms, but it's actually quite versatile. I put together a short video to introduce the stencils where shared my inspiration along with a few different ideas and projects using this stencil set. 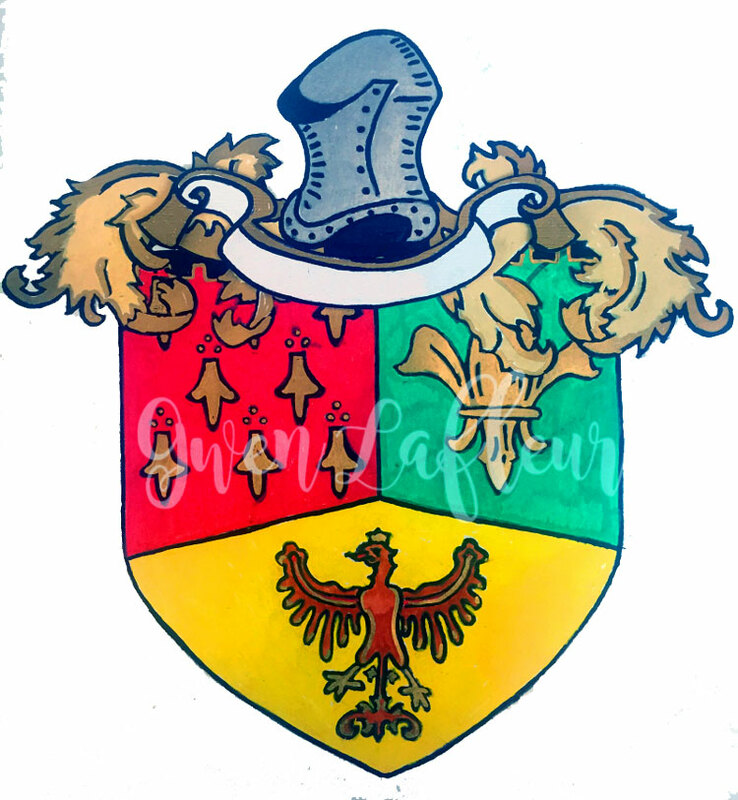 Here are the projects I shared in the video... the first, and most obvious, is to create your own coat of arms. For the second example I used one of the sets of mantling designs as corner flourishes for a background in my art journal. 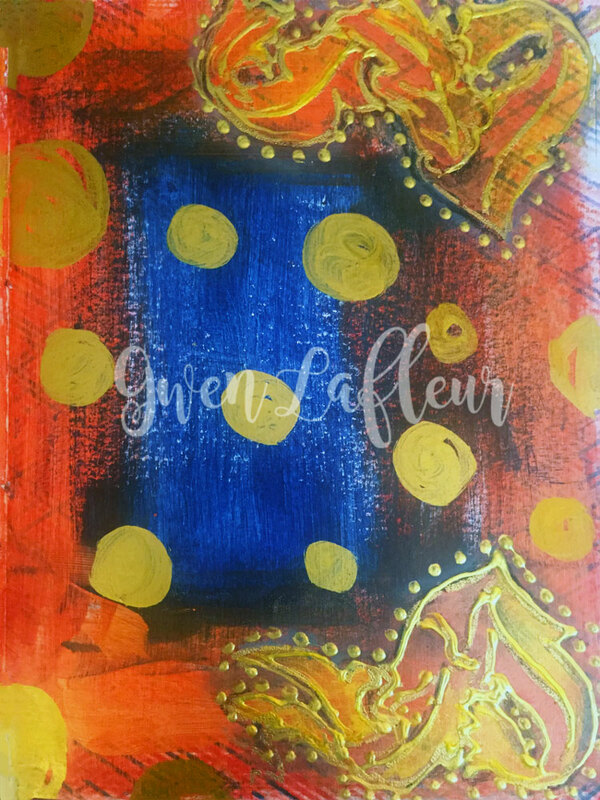 For the third project, I created an art journal spread where I used the stencils to create a background, borders, and an embellished journaling block. To give a better idea of how versatile these stencils can be, I put together a full start-to-finish process video where you can see this art journal spread being made. This shows just a few of the different ways you can layer and mask with the designs in a very non-coat-of-arms way. I love how these stencils come out - you can use them in many ways - not just for heraldic designs. Of course, as I mentioned these stencils are only available to StencilClub members, so if you want them, you'll need to sign up. Although they were first made available and shipped as the monthly kit in December 2016, as a perk of membership StencilClub members can order any of the previous kits, so these designs are still available if you're interested.